I was watching the weather for days in advance of the pinhole photography workshop I was leading at the Bakery Photographic Collective in Westbrook Maine. I was hoping for a non-rainy day, and I got what was needed! Clear skies in the morning gave way to some clouds rolling in in the early afternoon. The spring air was fresh and it made for perfect conditions to go outside and test the cameras the group made for the program. 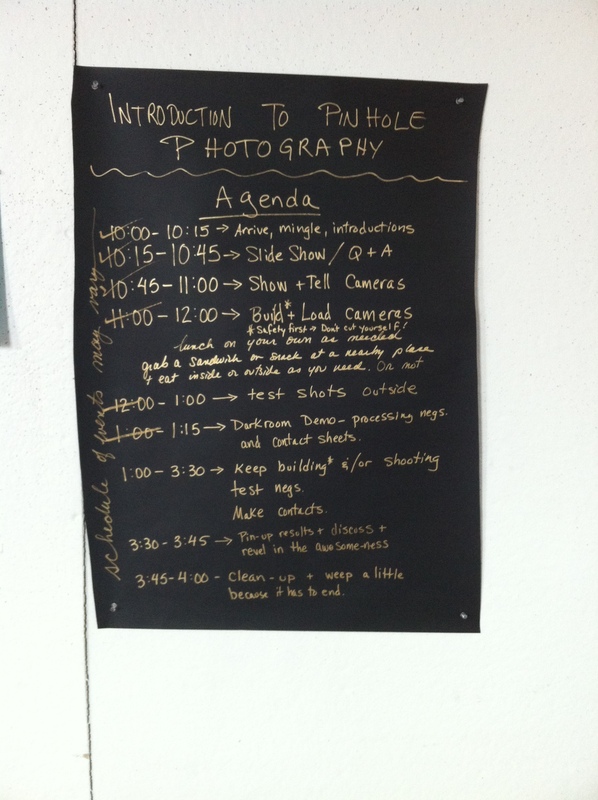 I started off the session with a brief history of pinhole photography and optics. After the slide show I showed the group the variety of pinhole cameras I use: altoid tins, fomecore box cameras, Santa Barbara cameras, Holga stereo cameras…the possibilities are limitless. 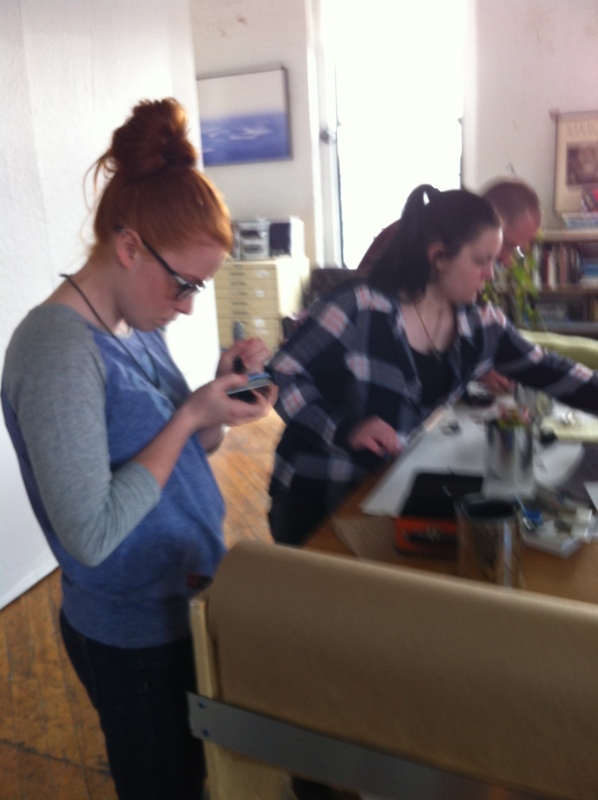 To get the group outside in a hurry I prepared both Altoid tin and Quart paint cans for the class. We calculated the apertures for the pinholes based on the focal length of the cameras and everyone poked their own pinholes and affixed them into the cans. 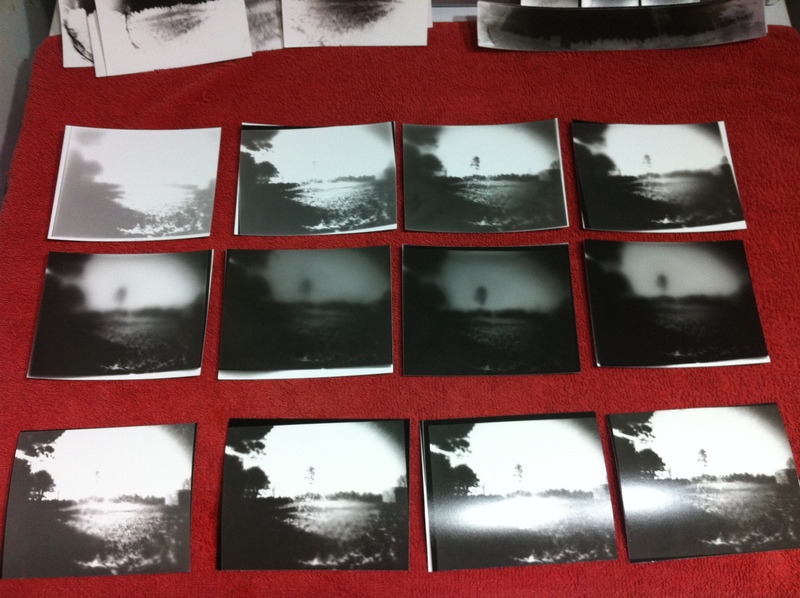 We loaded the cans with black and white photographic paper and headed outside to test them out. 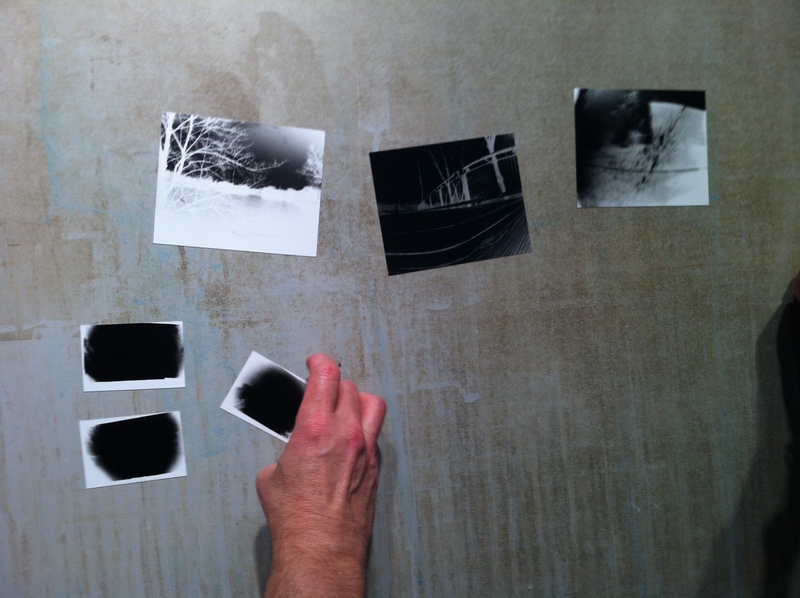 We were able to make two test runs with the cameras, develop the negatives, let them dry, then choose several to make contact prints. 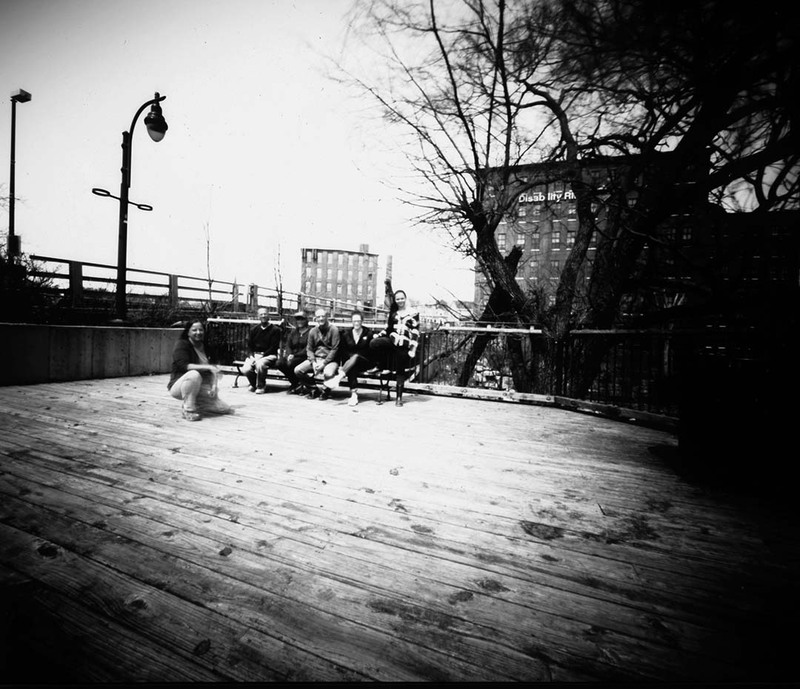 With some success and some failures, everyone came away from the class with two usable pinhole cameras, at least one successful image, and more knowledge about both pinhole photography and rudimentary traditional darkroom techniques. If you’re in the Portland area and have a hankering to get back into using an enlarger, the Bakery Photographic Collective has really nice set-ups with 5 black and white enlargers, and one color enlarger that you can rent. 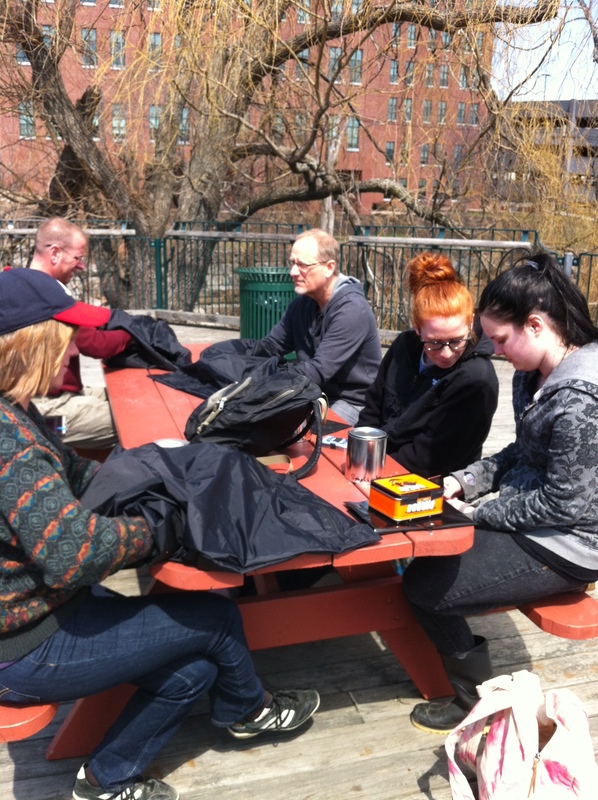 The introduction to pinhole photography workshop was held to encourage participants to get out on Worldwide Pinhole Photography Day April 26, 2015.